Today is finally the day that the tie in novel for The Angels Take Manhattan is published. Let’s cut straight to the chase here, I didn’t enjoy Dinosaurs on a Spaceship. Dinosaurs on a Spaceship was trying to be a comedy. Such things are always subjective, comedy more than most. Script writing is an art and comedy is another art again, fusing them is always difficult and you’ll never please all of the people any of the time! Now, don’t worry, I won’t get into the discussion on how Hollywood are trying to turn the art of filmmaking into a science, though given how much this episode of Doctor Who relied on common Hollywood formulae, perhaps it wouldn’t be entirely out of place! Anyway, it seems that the vast majority of people enjoyed it and even found it funny. I barely laughed. My frame of mind at the time my be considered relevant here. To get into the mood for Dinosaurs on a Spaceship I watched, back to back, A Good Man Goes to War and Let’s Kill Hitler, directly before. I had no real knowledge of the upcoming episode, other than its name. I didn’t know if the eponymous Dinosaurs were real, mechanical or even outright imaginary. Nor did I know anything about the guest stars or characters. Basically I knew nothing, I hadn’t even watched the ‘next time’ trailer at the end of Asylum of the Daleks. I was going in cold but for the fine warm up double act of A Good Man Goes to War and Let’s Kill Hitler. I greatly enjoyed rewatching those two ‘old’ episodes and laughed many times. I was in a good mood. That wasn’t the problem. Sat there watching the new episode, with its comedy double act robots and golf ball chasing dinosaur, I just thought it was silly, rather embarrassing and generally (as I said to myself at the time) rubbish. I honestly expected a severe backlash against this episode due to how childish it was. Clearly I was very wrong! I normally enjoy Mitchell and Webb’s work but bringing them in as the robots gave me a nasty flash back to the likes of Hale and Pace in the last ever broadcast Classic Doctor Who story, Survival. True, it’s not the first time that New Who has called upon comedians to ‘fun it up’, with perhaps the most blatant being Lee Evan’s Malcolm from Planet of the Dead. This time we had bickering robots, though. Cheesoid this is not! It wasn’t just the robots or the dog-like triceratops but the tone of the whole thing and the general lack of any real drama. Oh and the comedic robots then suddenly slaughter the aforementioned innocent triceratops. Mixed messages? It’s time for me to accept that it isn’t you, Dinosaurs on a Spaceship, it’s me. Some almost primal fear that was instilled in me as a teenager, that everybody will suddenly hate Doctor Who (again), welled up. Note that I had no such problem with the abundant humour in A Good Man Goes to War and Let’s Kill Hitler. I’d like to think that’s because it was just smarter humour in those Moffat penned episodes – no contrived testicle gags, for example! Then there’s the convenient picking up of a big game hunter – why did the Doctor do that, exactly? Yet another literal count down to destruction? The two control chairs needing familial DNA, really? Yes, all plots are engineered with the best crafted to near perfection but this one was still rather showing its workings out in the margins. Things you can probably accept if you enjoyed the experience. A few people have said of this episode that you shouldn’t complain about such trivial matters, with a title such as it has, you knew going in it wasn’t a serious one (as if that’s really an excuse for lazy writing). The point is, if you don’t enjoy something you may not really be able to say why and all you can latch onto are those untidy little bits but they aren’t generally the cause, at least not wholly. After what seems like an age since the original announcement, finally the new Judge Dredd film, named simply ‘Dredd‘, has hit UK cinemas. Was it worth the wait? For me, definitely, yes. Now I’m not a life long Judge Dredd fan and can’t ever remember reading an issue of 2000AD but, nonetheless, I am fairly familiar with Joe Dredd and Mega-City One. Most of my knowledge comes from playing the pen and paper RPG and, subsequently, the Big Finish full cast audio plays. Oh, and there’s the Stallone film, too, but fortunately I’ve all but expunged that from my memory banks! The first thing you’ll notice about this new film is that they’ve radically changed the look of Mega-City One and its inhabitants. Far from the dense, colourful, multi-leveled look prevalent in the comics, this big screen city is a flat, grey ocean of mostly low-rise buildings with largely spaced out mega blocks occasionally jutting forth. Apart from the odd Justice Department drone, all traffic is very much on ground level. This is city that could exist now, just with urban decay turned up one small notch. It is very deliberately not visually exciting. This is a bleak environment, the same sort of five minutes into the future that Robocop gave us. Also gone are the ‘safe’ swear words that are so familiar in many science fiction series (such as ‘fragging’, ‘fracking’ and Dredd’s ‘drokk’ – even ‘grud’ is dead!) In the UK this film is an 18 certificate, so they were very right to drop those cod expletives – with the possible exception of Red Dwarf, I always find them cringeworthy! Instead real world swearing is in and given the amount of violence involved in this film, that can only have been the right decision. In essence the, rightly, British director (Pete Travis), equally British writer (Alex Garland) and their team have ‘Nolaned’ up the world of Judge Dredd. This was, no doubt, influenced by the relatively small budget (half that of the Stallone film of 1995 and, if you take into account inflation, it’s really probably nearer only a third) but I suspect that even if they had a vastly bigger budget that they would still have gravitated towards a more grounded film reality. I absolutely think they made the right call. Stallone’s Judge Dredd film may have looked more authentic to the comics but this Dredd feels more authentic. This brings us around to Karl Urban. To my mind, he is Judge Dredd. As Toby Longworth is the definitive audio Joe Dredd, Urban is the definitive film Dredd. And yes, Dredd keeps his helmet on. Okay, there is one shot where you can just about make out one of his eyes through the visor of his helmet but, that (no doubt mistake) aside, you never see his eyes and nor do you need to. This Dredd does not laugh, does not smile and if you could see his eyes all you’d see is pretty a constant scowl anyway! He is not entirely humourless, though, and has a good line in dead-pan terse comebacks, most of which are simply pitch-perfect deliveries of the word ‘yep’! Don’t worry though, the film didn’t turn him into a one-line ‘joke’ cracker, like Roger Moore or Arnie at their worst! No, Dredd is glacially cool, almost machine like. He is the uncompromising tool of the police state that he should be. Olivia Thirlby brings us a contrasting sidekick in the shape of Judge Cassandra Anderson. She’s a rookie who’s on her last chance before being drummed out and would have been gone a long time before if it wasn’t for her psi abilities. I more ‘know of’ than really know the character of Anderson and have far fewer preconceptions about who she is and how she should be played. I have seen drawings and some of those vinyl models that ridiculously sexualise the character but, I’m happy to say, they didn’t do that with this film version. Thirlby does a great job of juxtaposing Anderson’s humanity as compared to Dredd’s granite-like nature and all the violence they both must engage in to survive. At its heart, it is nothing more than a simple survival film. Our ‘heroes’ are trapped in enemy territory with little chance of rescue and must fight their way through whatever is thrown their way. In many ways it is simply a day in the life of Judge Dredd, albeit probably a slightly more intense day than usual. The implications for Mega-City One are slight, at best. The world isn’t needing to be saved, Dredd is barely changed by the experience (if at all), though Anderson is clearly hardened by it. This film is very consciously an introduction to the world of Judge Dredd. If we are lucky enough to get a sequel, then we can probably expect a more world endangering plot and perhaps more of the fantastical elements to come into play (hints are being made of maybe a sequel involving the Dark Judges – incidentally, I couldn’t help be reminded of those four when another group of four judges turn up near the end of this film). Viewers are certainly left to ponder the nature of the police state that is Mega-City One. The political undertones are left as just undertones and while Dredd is nominally the hero there is no real attempt to paint him as such. Dredd is tool of a fascist state, able to meter out summary justice with his ‘lawgiver’ gun. Were the filmmakers right to leave the social commentary as subtext? I think they were, at least for this first film. If we do get to see the Dark Judges or political strife in the Justice Department next time, then I’d expect a lot more to be made of such concepts. Anderson is clearly more concerned with natural justice than simply and blindly applying the law and I’d expect any sequel that features her would also delve more deeply into that. As it is, this film does show some of the non-combatant residents of the Peach Trees block as innocents but otherwise the judges and ‘perps’ are about as bad as each another. Nobody too squeamish should watch this new film (it’s 18 rated in the UK), it is pretty bloody and has some wonderfully shot slow motion effects that add even more to that bloody horror! A twisted sense of humour certainly helps, too. If that’s you, then I don’t hesitate to recommend Dredd. Given we won’t be recording our podcast review of Asylum of the Daleks for several more days yet (after the next episode of Doctor Who airs, in fact), I think I should put down a few random thoughts now, before that next episodes goes out. The first and most obvious one – was that the new companion appearing much earlier than expected? At first I thought ‘that can’t be her, just someone that looks like her, surely?’ It quickly became clear it was at least Jenna-Louise Coleman but was it this ‘Clara’ character? The jury’s still out on that one but if it is her, then how? I can’t believe Moffat will pull another River Song, seeing her death before the Doctor properly meets her, if for no other reason than that was a rubbish way to die (assuming she did!) Modern day companions (and indeed Doctors) should die heroically, saving other characters we care about. Maybe technically Oswin did but it didn’t really feel that way. Also, why didn’t she remember the Doctor? The horrific Dalek conversion? 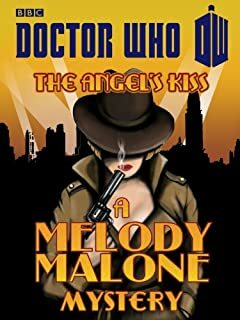 Maybe but a little too neat, I’d have expected some trace memory at the end, if only to intrigue the Doctor and entice the majority of the viewers who won’t have known who she was. The Dalek Supreme is now calling itself Prime Minister, eh? Complete with a Parliament, no less? I can’t imagine left wing Dalek political parties do too well in the Dalek elections! I suppose Moffat is trying to suggest a new start for the Daleks, a continuation of that theme from Victory of the Daleks. Now they don’t even remember the Doctor. Isn’t is convenient that their minds are all now linked?! I could buy that all of their onboard computers are linked and, as is slowly happening to humanity, they rely on their computers to remember nearly everything for them but actively wiping their short term memory, too? They really must be cyborgs now. Compressed story telling, so we were warned to expect. The cleverest man in the room fixes Amy and Rory’s relationship with a some slight of hand, both physical and psychological. Was that all of 30 seconds screen time, including the straightening of his bow tie? It may have been compressed but it was nonetheless strong stuff and was so neatly spelled out that they didn’t need an hour to build up to it or ten minutes to resolve it. It really is a testament to Gillan and Darvill’s acting and Moffat’s character building for the past two years. This isn’t your old school Doctor Who, this is proper drama and really quite brave stuff for a programme that is aimed at family viewing. Plot-wise it does raise the question of will the Doctor help them in their baby making dreams? A quick visit to some future super-advanced medical facility should be able to quickly fix whatever problems Demons Run inflicted on Amy, I would think. Is that the ‘heartbreaking’ end Moffat has in store for the Ponds, them living happily ever after with a new baby? Probably not as that’s probably more ‘heartwarming’ but this is Moffat, so don’t forget Rule Number One! Should we expect more medical drama in the form of the Dalek nanogenes still affected Amy? I suspect not. It wasn’t explicitly stated but I get the feeling they were brought back under control and then eradicated by the bracelet. If not then the lack of threat after Amy and Rory’s reconciliation, not to mention the Doctor casually dropping them off home, would seem to be sloppy writing at best (possibly hand waved away by saying the Doctor doesn’t realise the threat but in that case it should still be raised again for the audience, in a ‘you know something the Doctor doesn’t’ sort of way). If Amy starts behaving mechanically and eating nothing but Smarties then maybe she’s in trouble! On the subject of these new ‘robomen’, the partially converted Dalek servants, let me go all stand-up and say, what was that all about?! They have the Moffat trademark of potentially being popular in the school playground – kids could pretend an eyestalk is popping out of their head and gun out of their hand. The dead ones were particularly nightmare-fuelling. The idea of trespassers being integrated into the defence systems was good, too. Still, didn’t it seem just a little silly to anyone else? 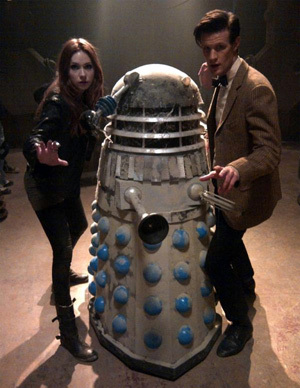 Why have a Dalek eye-stalk come out of someone’s head? True, the long dead crew’s eyes probably weren’t working so well after all that smelly rotting but their bodies could have (should have?) been converted before bits started falling off them – alive or dead, it’s all the same to the nanogenes, so why should the dead ones be any more decayed than the apparent survivor? Picky, I know, but it’s a shame that ‘every Dalek, ever’ got such short shrift when they could have taken the screen time of these illogical zombies. Anyway, I’m getting off topic. I’d award Asylum of the Daleks a B-, good corridor running fun with the added pleasure in seeing the hated ‘new paradigm’ Daleks melting into the background, hopefully soon to disappear completely (though the red Dalek, one time referred to as the ‘drone’, does look rather better with the darker red metallic paint job, though). With luck we’ll never have the chance to be told what an Eternal Dalek does! What is Open Source software and why does it matter? I am still surprised how few people seem to understand what open source (aka ‘free as in freedom’) software means and why it is important for us all. Therefore I shall try to explain, as best I can, concentrating mainly on the, primarily Google funded, mobile device OS, Android (for that is perhaps the most familiar open source software to most people today). In a nutshell, open source software makes the source-code freely available to all, to do with as they wish. This is true of Android, Linux and so many more projects that nobody could hope to list them all. So that means I can download Android, for free, and put it on my own device? Yes. I can tinker with it, make it do what I want? Yes, with one proviso – if you share the compiled (binary) changes with anyone else then you must also share the source code, so everyone can take what you’ve done and tinker with that themselves. That’s the deal – if you take and change then you also give those changes back. This sort of community spirit openness might sound almost scary, wild west territory. Instead it has given us things like the effort to run Android on the Raspberry Pi and the Ouya, a games console that anyone is free to write software for, without the crippling licence fees, potential content censorship and expensive development kits of the established players. This cannot be stressed enough – students, the curious and the paranoid can all examine and learn from the Android source code. You want to know how any of it works, then it’s right there in black and white. I should also stress that Google did not need to be involved or even asked permission (let alone paid any money) for Android to be put on the Raspberry Pi or Ouya. Open source software is a resource for all and projects like Ouya could not hope to exist otherwise. Why does this matter to me, I’m not a programmer? 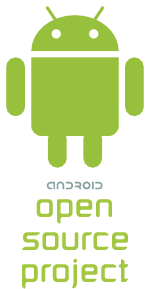 It matters because Android is effectively a community resource, those that can program are free to submit their improvements back to the Android Open Source Project. That’s how open source software thrives, lots of people scratching their own itches and submitting their ideas and software changes for all. But people aren’t that generous are they, they’ll just keep the changes for themselves? No, even with those who do think that way it quickly becomes too much effort – every time there is a new version of Android released they have to reapply their changes to the code, it’s easier to submit it ‘upstream’ into the official version. What happens if Google really goes evil on us? You mean the Google that employs so many highly skilled (and therefore highly paid) people to work full time on Android and then gives that code away, for free, to everyone and anyone? Unlikely but not impossible, I suppose – management changes, circumstances change. In that case the community just takes the Android source code and ‘forks it’, which is to say they simply build a competing version of Android based on the same, mainly Google funded, source code. Anybody is perfectly entitled to do that. In fact, in essence, Amazon have already done just that with the Kindle Fire. In that instance it was for their own commercial purposes rather than a community-led move, so it will always be something of a dead-end fork but that need not be the case if there were community consensus. Maintainers of open source software, such as Google, always need to be mindful of their user and developer community, lest they lose their project from underneath them. This is what will make Google stick to their ‘Don’t be Evil’ motto more than anything else. Well, I’ve rambled on in a manner that was rather less convincing that I intended. Clearly I’m not quite in the rhetorical mood I need to be! It boils down to this: when you invest in open source platforms you potentially enrich us all, instead of the few. Think about the sort of person you are – are you one of those self centred people that you might find working in the City of London or the sort that values freedom and sharing? You might think it’s just a phone. It’s not. It’s an ethos.